Significant departure from reliance upon print texts is requiring teachers and researchers to redefine online reading processes for diverse contexts, and participants. To bring the significant role of the participants into the reading research limelight, the present study explores the processes involved in the online reading strategy use of Iranian EFL college readers. 270 participants responded to a 46-item instrument (a=0.85) called Online Reading Strategy Inventory (ORSI). The exploratory factor analysis of the responses indicated three major types of online reading strategies: 1) General Reading Strategy, 2) Online Specific Reading Strategy, and 3) Metacognitive Strategy, which implies that that the participants' online reading behavior is not identical to their offline reading practice. The factorial validity of the instrument, along with evidence for a significant relationship between students' responses on the instrument, and their online reading comprehension process suggests further considerations for providing the due digital literacy assistance. Reading is the most important skill in order to ensure success in language learning (Anderson, 2003). Besides, by the rapid growth of WWW and the Internet, texts and purposes for reading have started to change, and a new kind of literacy has started to emerge. More and more texts are processed on screen (e.g., online newspapers, journals, magazines, Wikipedia articles or web pages in general), and as Leu (2002) pointed out “the Internet has entered our classrooms faster than books, television, computers, the telephone, or any other technology for information and communication” (p. 311). In short, students’ progress nowadays relies heavily on these online sources. In the meantime, although research on reading suggests that strategic reading-- the knowledge of how to use strategies to meet readers’ purposes at different times and places-- is facilitative in reading comprehension, many L2 classrooms, based on textbooks and materials designed, teach students to conduct all of their reading in a similar manner, regardless of the text being read or the purpose for reading. In other words, there is a gap between reading practices in the L2 classrooms and the challenges waiting for the readers in real life, affected by communication revolution. This study draws from the activity theory (Cole & Engeström, 1993), to argue that participants with different roles (also a system) use certain strategies but not others at certain times within a certain context/ system. Hence, this research focuses on the online reading behavior of Iranian learners of English as a Foreign Language (EFL) that is affected by the values, purposes, and the physical attributes of the context. Offering online courses is still in its infancy in Iran. Meanwhile, the stated objectives of those few courses are: (a) to widen the scope of education; (b) to prepare the new generation for the challenges of the latest technology innovations in education; (c) to bring the educational system up to the level of educational developments in the rest of the world, and (d) to provide students with more opportunity and flexibility to study for an academic qualification. However, unlike the proposed claims, these programs still encourage lockstep reading procedure, irrespective of the departure from reliance upon print texts and noticeable changes in information and communication technologies (ICTs), such as the Internet, and advanced search engines (Henry, 2006). While many argue that learners tend to employ print-based reading comprehension strategies in reading online texts (Akyel & Ercetin, 2009, Konishi 2003, Elshair, 2002), unless the nature and the type of these online reading comprehension strategies are identified, the claim cannot be validated. This has persuaded the researchers to address the online reading behavior, also called hyperreading of the EFL students studying across Iran, because such literacy is of utmost importance for life and for learning. In addition, the influence of the sociocultural context on the process is strong enough to receive the due attention (International ICT Panel, 2002). 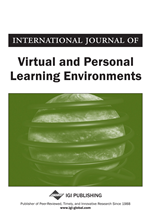 The purpose of this study, therefore, is to address the issue, and explore the online reading behavior of Iranian EFL learners with respect to their strategy use, as they conducted online Internet inquiry. However, since a basic framework of online reading comprehension strategies for our research purpose was not available, this study had to devise its own framework. To do so a 64-item instrument called Online Reading Strategy Inventory (ORSI) was developed and validated for the purpose of this study. This study has academic, practical, and personal significance, and will hopefully contribute to the expanding literature on online reading.